Green ‘lungs’ or green spaces are what make cities liveable. As our population grows, so our cities expand. And the importance of green spaces increases. Living in an area with access to green spaces is vital for our well being. is a suburban jungle; a mishmash of nine interlinking trails in leafy Constantia. Combine a number of them to make up a healthy day’s hike followed by lunch or tea at one of the numerous wine estates in the valley. The area is covered in vines, ancient yellowwood trees, streams and there is a list of unusual birds, including the elusive and endangered Knysna warbler. is a 40 hectare block right in the midst of busy Rondebosch with the most enviable views of Table Mountain and the University of Cape Town. Whilst it barely qualifies as ‘wild’, its importance for conservation is unquantifiable and it provides an essential green space for residents. Much of it conserves one of the only remaining pockets of endangered Cape Flats Sand Fynbos, a few patches of Renosterveld and a seasonal wetland. The plant species on this flat piece of land, around which residents jog and walk, number some nine on the Red Data List and over 110 species of bird have been sighted here. 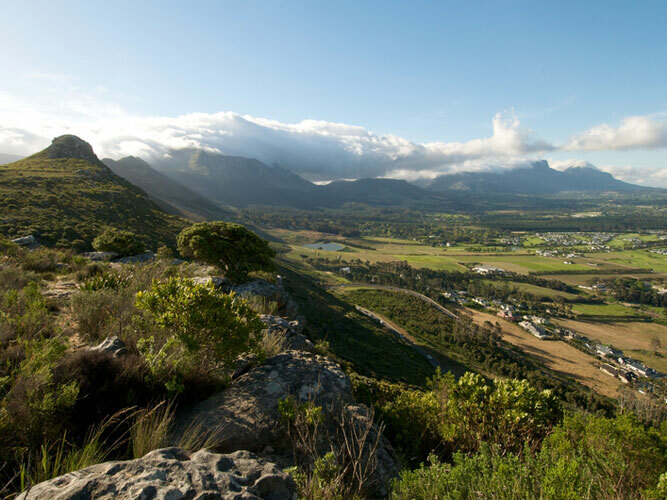 gives inner suburban Capetonians access to some 8 km of trail through the leafy southern suburbs, its banks lined with trees many of them indigenous, and a notable variety of birds and small mammals. The river starts on Table Mountain above Kirstenbosch and flows down via Bishopscourt into Newlands and then on to Rosebank, Mowbray and Observatory, where it joins the Black River. Almost all of the walk is trailed and some of it is paved. Some of the more obvious points of entry are the Sans Souci Bridge near Newlands swimming pool, and the area near Josephine Mill where there are benches overlooking the river. lies in the midst of Houghton, 16 hectares of indigenous vegetation and koppies that are preserved as a conservation area and across which are a network of paths that provide walkers and seekers of nature within the city a taste of inner city magic. Because of its situation, The Wilds are fairly hilly and a walk will get the blood pumping. Go in groups, not alone. lies on the last of what remains of Johannesburg’s ridges, 150 hectares of wild, rocky koppies covered with indigenous vegetation. Not only can you see Johannesburg’s skyline from the koppies but the area is also a World Heritage Site due to the discovery of an ancient Iron Age furnace. More fantastic is the chance to hike, bird watch or go on an organised tour. 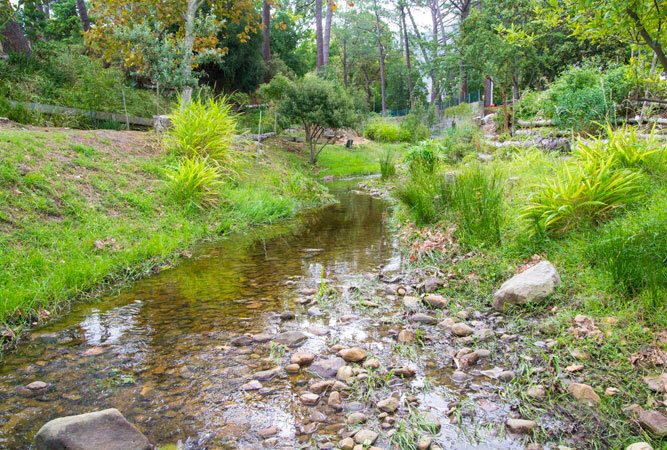 Explore the walkways and foot paths, take photographs and enjoy nature – adjacent to Melville, roughly two suburbs up from the inner city. Find out about times as the koppies are not always open. 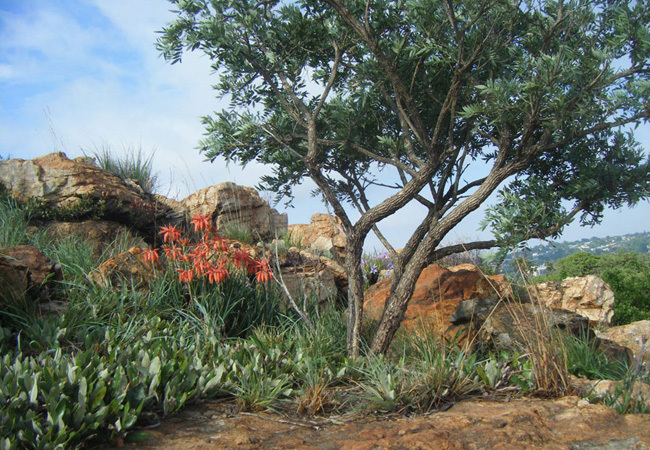 Melville Koppies combines with Jan van Riebeeck Park Nature Reserve and Johannesburg Botanical Gardens to form a green belt. may be called a ‘park’ but really its 108 hectares of grassland and woodland with three dams and a series of walking trails and bird watching hides at the bird sanctuary, adjacent to Blairgowrie and Victory Park. That makes it one of the city’s biggest conservation areas. It is soon to undergo a major upgrade with fences around the park. The Braamfontein Spruit, a now rather busy mountain bike route (despite the perception that it can be dangerous), links Delta Park with Victory Park, Emmarentia and Albert’s Farm creating a green belt through the city. 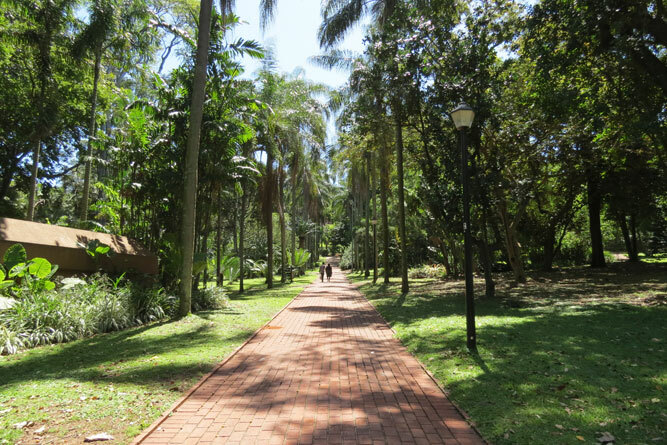 Durban has around 187 m² of green space per person. It boasts abundant green spaces and above average air quality. Here are the ‘wilder’ bits. is 55 hectares of remnant coastal forest in Morningside that has remained virtually unchanged since 1850. Burman Bush also has the remains of an ancient beach and shell fragments, which seems to indicate higher sea levels in the past. It forms part of D’MOSS (Durban municipal open space system) some 74 000 hectares of land and water linked together in a network of open spaces.There are three trails and a serious number of bird species. is all that remains of a huge tract of primeval forest that used to grow up the north coast of Durban as far as Westbrook. It is said to be 18 000 years old. The portion that is left is protected dry coastal dune forest wrapped around the northern edge of Umhlanga. Guided walks are available through WESSA and last about three hours, or you can contact uMhlanga Centre of the Wildlife Society. The Hawaan forest contains some of the rarest trees and plants, and a series of mammals – duiker, bushbuck, mongoose, bushpig, monkeys and snake.